Jim Anderson, the Rest Doctor, and his wife, Lois, conduct Sabbath-rest retreats for pastoral couples and other ministry leaders. 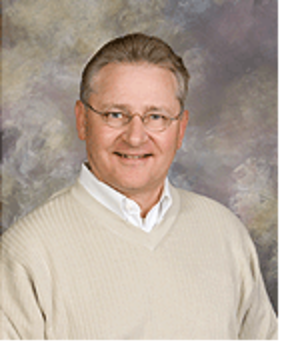 He serves as the Associate Director of Pastoral Care with the North Central District of the Evangelical Free Church. Before returning to Minnesota he served as a senior pastor for twenty-five years at three churches in other states. He holds Master of Divinity and Doctor of Ministry degrees from Trinity Evangelical Divinity School. 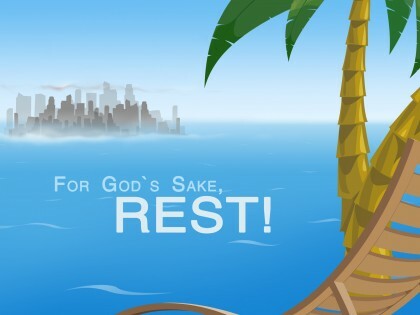 For God’s Sake, Rest! Discovering the Pleasure of His Rest is dedicated to my wife, Lois Ann Anderson. Lois has stood with me through ministry journeys, bouts of depression, and my whole “Sabbath Rest” discovery. More than anyone else she has urged me to take rest, “Sabbath Rest”. When I was stuck in workaholic ruts and Sabbath resistance, Lois nudged me out the door and on my way to my meeting place with God. We now offer Sabbath-retreats to pastors, missionaries, and church leaders. She is at my side helping me tell my story and tenderly encouraging others as she once encouraged me. I come from a line of workaholics. My grandfather drove a bulldozer until cancer brought him to his grave. My father ran a trucking business until his death at age eighty-five. At age thirty I found myself unable to get out of bed one morning. Steeped in ministry as a church planter I experienced a physical breakdown, which kept me in bed and out of ministry for six weeks. It took a year to fully regain my health. While I didn’t work particularly fast, I seemed to never quit working. That is until I discovered the age-old prescription known as “Sabbath Rest”. Sabbath is not so much a weekly day of life, as a way of life available to God’s people today. The way of life that is at rest moment by moment requires deep extended periods of rest far beyond a daily “quiet time,” or a typical day off. Few know how to really rest in this fast-paced high-pressure lane we call life. I frequently have opportunities to encourage both pastors and parishioners to enter the chambers of a weekly Sabbath. At this stage in life I would like to help God’s servants discover the fountain of rest called “Sabbath” without guilt or shame. It is a must for anyone who needs to repair from life’s frenzy or wants to remain creative and close to God. The standard education level of the local pastor is approximately seven years, a four-year undergraduate degree and a three-year Master of Divinity degree. The three-year masters degree is the near equivalent to a Ph.D., a medical or law degree. Unlike doctors and lawyers who seldom abandon their practices after investing so much in their degree programs, ministers are calling it quits after twenty, or even ten years of local church ministry. While the causes may be many and complex, I observe that fatigue plays a major role in attrition. Few pastors or churches have a theology of rest, which adequately addresses the physical, emotional, and spiritual drain accompanies conscientious ministry.